Texting while driving is dangerous -- and, it's against the law. New studies show that drivers overestimate their ability to multitask behind the wheel. Experienced and new drivers alike need to keep both hands on the wheel when driving. Try your hand at the "Gauging Your Distraction" game as featured in a series of articles, Driven to Distraction, in the Technology Section of the New York Times Web site. This game measures how your reaction time is affected by external distractions. Regardless of your results, bottom line is that you should not text when driving. The Youth Bureau is committed to ensuring equity and access to formal and informal opportunities for the county's children, youth and families. 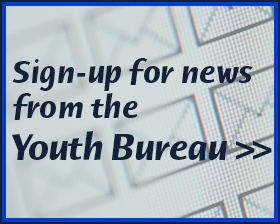 Learn more about the Youth Bureau and it's Executive Director. “Chronic absenteeism”, defined as missing 10 percent or more of school days enrolled (at least 18 days out of 180 days of the school year), has been shown to be harmful to students’ academic success. Chronic absenteeism is being monitored for all school districts in New York State in accordance with the Every Student Succeeds Act (ESSA). It is viewed as a critical accountability indicator of school success. Students may miss school days for reasons such as health, family or social issues, or economic factors. It's critical that students, families, schools and community services work together to reduce school absences and increase attendance to help students stay on the path to academic success. Watch this short video on the importance of reducing chronic absenteeism. 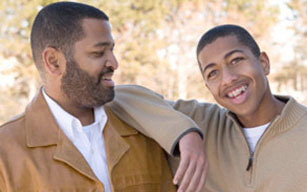 More information about chronic absenteeism can be found on attendaceworks.org and everystudentpresent.org.